El Nido is rarely what you think it’s going to be. 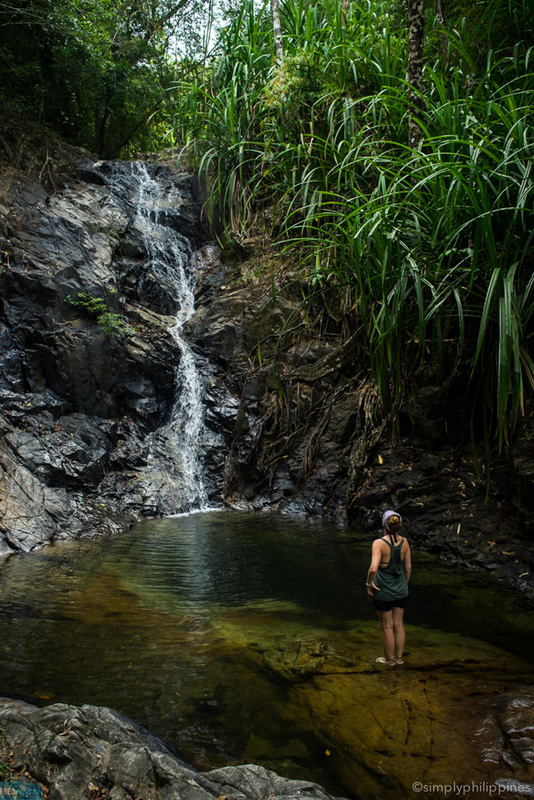 But if you can, imagine a tin-roofed town, with beaches stretching away on both sides, and sandy plots claimed by resorts and restaurants, all for one reason: Bacuit Bay. Bacuit Bay is a perfect example of Palawan’s aggressive, don’t-look-away type of beauty that fills memory cards and keeps travelers in a thrall. The light changes from minute to minute, the clouds cast patterns over the islands, the tide is always up to something. You can’t really pick a moment to see the best of El Nido, but mornings and sunsets are a good place to start. With cameras charged, swimsuits on and sunnies ready, strike out in a boat for your first island-hopping adventure (hopefully Tour A.) Stay longer where you like, skip what you don’t, swim in the waves, spread out on the sand, eat grilled fish with your hands, get a little too tanned, and come back exhausted and happy. After catching every lingering ray of a glowing sunset, head into the cool night for some fabulous food, a little music and a mojito or two. Tomorrow is a chance to do it all again. For an unforgettable El Nido holiday, follow these seven tips below. The most comfortable way to arrive is to fly in to El Nido, but the vast majority of travelers make the 5-hour trip over land from Puerto Princesa. Daytripper Palawan is the best van service on the road, but you can also hop on vans directly at the airport for about 500P/person. Within El Nido, trike rides shouldn’t cost more than 20P normally. Expect to pay 50P to Corong-Corong Beach, and 100P to 150P to Las Cabanas Beach. Motorbikes can be rented for 500P to 800P a day. El Nido town has its charms, but travelers are often disappointed to find the beach is not suitable for swimming, a huge bluff blocks any view of the sunset, and the streets can be noisy and crammed with trikes (those three-wheeled contraptions of motorbike + sidecar.) A much better option is to choose a beach just beyond. Caalan and Corong-Corong are both in walking distance, but I prefer Corong-Corong for its local vibe, stunning vistas and choice of resorts and restaurants. You can find clean, tidy rooms for 1000P a night on the far end of the beach, or private bungalows at Mahogany, with lots of family-run guesthouses and resorts in between. TIP: For more privacy, consider Las Cabanas or Cadlao Resort, or one of the newer resorts on the islands in the bay. Unfortunately the Philippines is not one of those countries where you just walk down the street and order what the locals are having. El Nido has some great dining options, so note them down: Trattoria Altrove for mouthwatering pizzas, Sea Slug for grilled seafood and live music, The Beach Shack for lovely lunches, Happiness Beach Bar for Mediterranean fare, and La Plage for fabulous French cuisine. Some honorable mentions: Silog Place or Silog Republic for super cheap local breakfasts, VnV for bagels and western breakfasts, Republica for sunset tapas, and Makulay for romantic pre-dinner drinks. TIP: The most happening bar in town is Coco Bar (also called Pukka Bar) on El Nido’s main beach. Expect reggae music and a crowded dance floor. The best tour experiences I’ve had in El Nido, and my friends too, have come from booking directly with my hotel or guesthouse. Skip the touts in town that fill the boats to the brim, and ask your hotel about their rates. Often you can find two or three other guests to split the costs with, and have the boat all to yourselves. I recommend Tour A for first-timers, although all the tours will take you to incredible places. If you’re staying in Corong-Corong you won’t have to wade through chest-deep waters to reach your boat (a plus!). TIP: Always leave as early as you can and ask if it’s possible to do the REVERSE tour. This means the boat captain starts at what is normally the last attraction on the tour, and works backward to the first, so you hopefully escape the crush of boats all going at the same time from El Nido. You don’t have to get on a boat every day of your stay. Marimegmeg Beach is a 15-minute drive from town, and perfect for a day of doing nothing. Pull up a chair at The Beach Shack, and see if you aren’t still there at sundown. For hiking, biking, cliff-jumping, surfing, snorkeling, fishing, camping, waterfalls and more, check in with the wonderful crew of Discover El Nido. This homegrown, all-local tour outfit will make sure you have a memorable experience. TIP: Personally I do not recommend Nacpan Beach. Even though it’s pretty, Nacpan is a loooong, expensive, bumpy ride from town. There are only a few, incredibly slow places to eat, the undercurrent can be dangerous and on top of that there are sandflies. You’ll be just as happy (if not happier) on Marimegmeg Beach. Cadlao Lagoon is often overlooked. It’s a shame, because Cadlao is a truly beautiful part of El Nido and one of the few places where you can snorkel. For soft, powdery sand you can’t do better anywhere in El Nido than Papaya Beach. Even locals say this stretch is the best of El Nido. Kayak there for an afternoon (there are clear Molokinis for rent at The Happiness Beach Bar) and soak it up. If you’re genuinely interested to see the real Palawan, you’ve got several compelling options in the towns of San Fernando and Sibaltan – both not more than two hours away from El Nido. In San Fernando, treat yourself to a hilltop stay at Santeria El Nido, a small B&B set on a cashew plantation with soothing views of the landscape below. For something a little more upscale, check out Qi Palawan, a sustainable resort on an isolated stretch of beach. In Sibaltan, you’ll be well-looked after (and cooked for) by the lovely family that runs Ursula Beach Club. If there are ATMs north of Puerto Princesa, they are very hard to find. Withdraw as much cash as you think you’ll need, plus a little extra, before leaving Puerto Princesa. El Nido extracts a 200P environmental fee from all its visitors. It’s valid for ten days and only comes into play when you take island-hopping tours or visit certain beaches. Don’t expect to see any fish or corals. 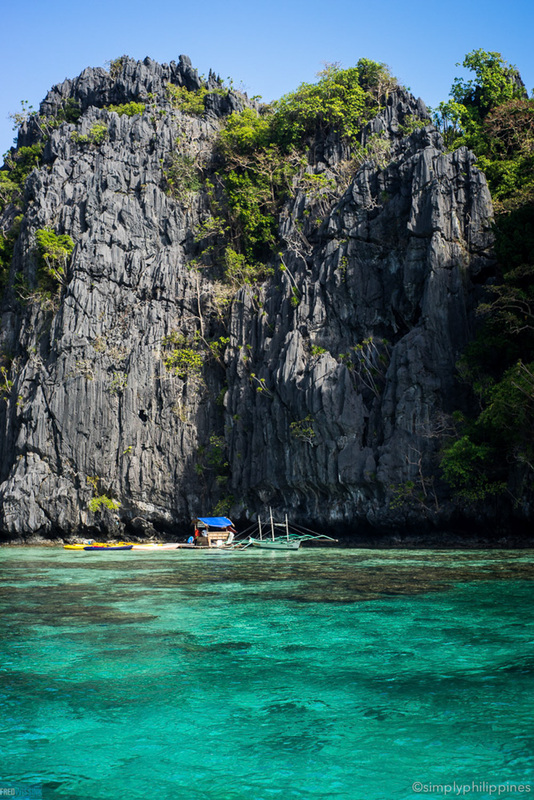 El Nido is not a prime destination for snorkeling, although there are several top diving sites. That’s it! Have a lovely time in El Nido! All pictures in this post by photographer Fred Wissink.